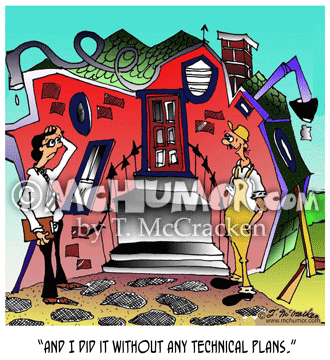 Architecture Cartoon 8295: A smiling contractor in front of a building that's lopsided and has obvious problems saying to an inspector, "And I did it without any technical plans." 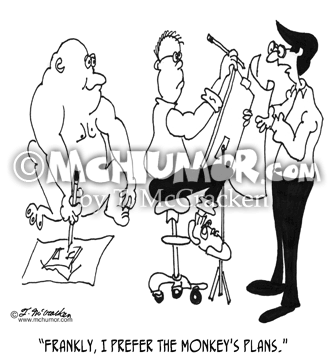 Architect Cartoon 6137: As an architect and a gorilla draw a man studying blueprints, "Frankly, I prefer the monkey's plans." 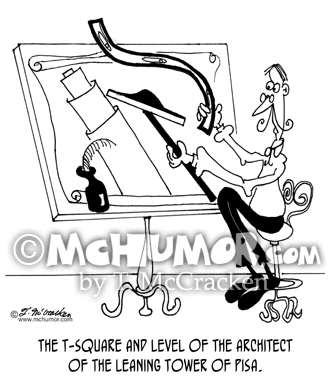 Architect Cartoon 6409: "The T-square and level of the architect of the Leaning Tower of Pisa." Both are crooked. 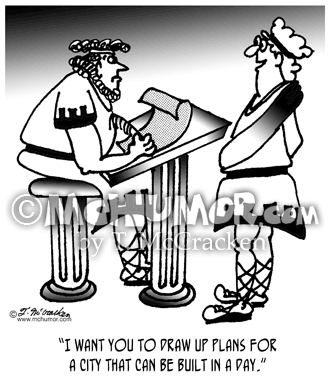 Architecture Cartoon 4007: An ancient Roman saying to an urban planner, "I want you to draw up plans for a city that can be built in a day." 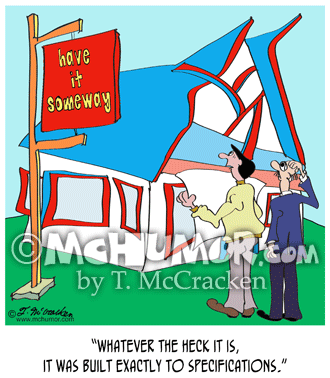 Building Cartoon 9233: A man holding blueprints stands in front of an odd building says, "Whatever the heck it is, it was built exactly to specifications." 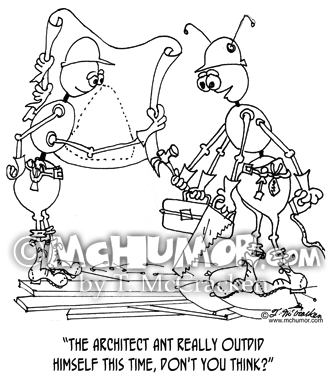 Carpenter Cartoon 7541: Carpenter ants with tool belts look at blue prints of an ant hill and say, “The Architect Ant really outdid himself this time, don't you think?" 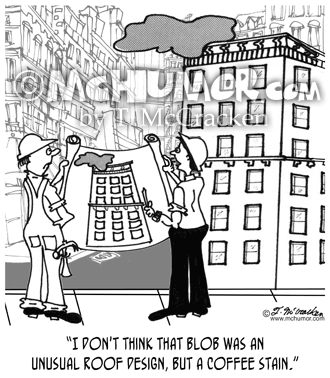 Blueprint Cartoon 4384: A contractor in front of a building with a big blob on it looks at blueprints with a blob on it and says, "I don't think that blob was an unusual roof design, but a coffee stain." 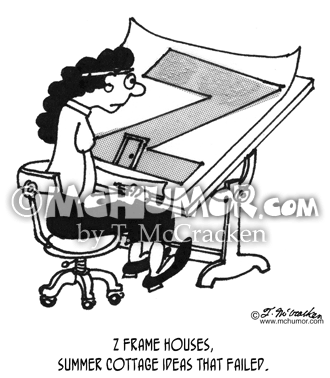 Architecture Cartoon 4009: "Z Frame Houses, Summer Cottage ideas that failed." An architect draws a huge Z on a blueprint. 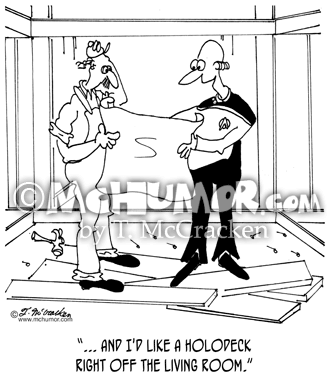 Building Cartoon 6342: A man in a Star Trek uniform talking to a building contractor says, "... and I'd like a Holodeck right off the living room." 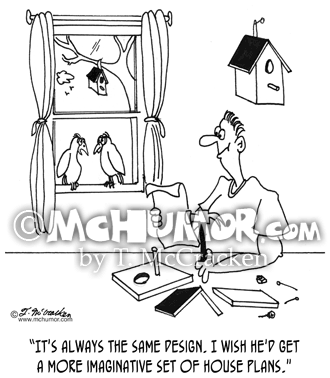 Bird Cartoon 4978: A bird looking at a man building birdhouse, "It's always the same design. 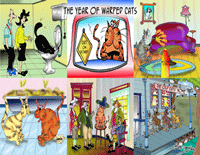 I wish he'd get a more imaginative set of house plans."